Is it spring yet?? Two days ago it was 77 degrees and then it snowed that night.. What??!!! I refuse to my wear my winter coats anymore. Over them! It is so hard to get dressed this time of year because one day it is warm and the next it is freezing cold. Blouses are my go to top this time of year because they are light, so you can wear them with layers! Blouses are definitely a must in the spring for me! Plus there are some super cute spring like prints out right now!! Below I put together a few outfits I plan on wearing in the next week! 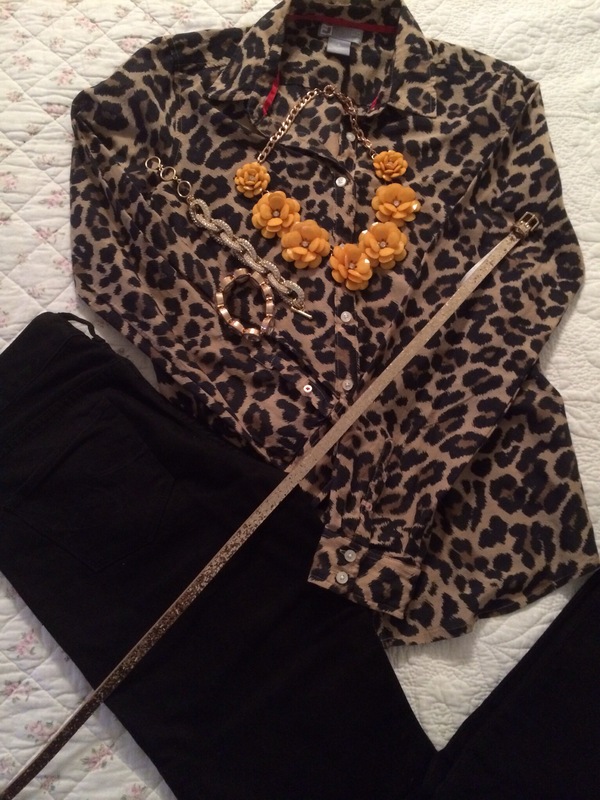 Leopard is a print I wear all year round! 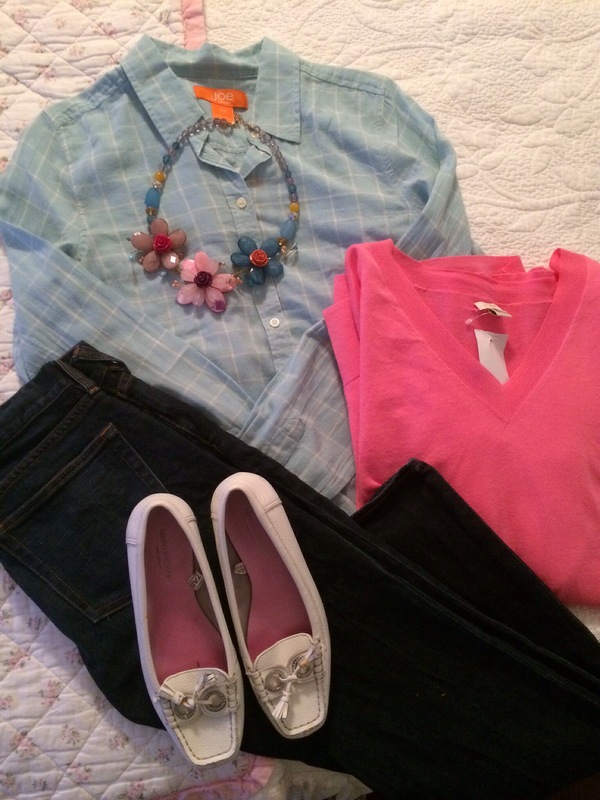 It is so easy to dress it up or down and it is fun to pair it with bright colors! 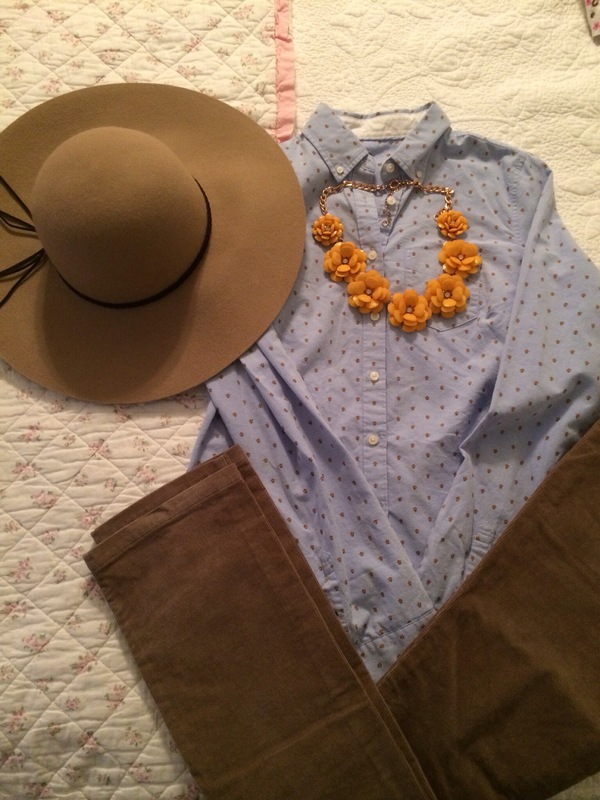 Blouse: JCPenney, but this one is cute! Jeans: Express(old), but I like these! Necklace: Simple Addiction(old), but this is similar! Blouse: JCPenney, can’t find online, but I like this one! Pants: J.Crew Factory, but these are similar and on sale!! Necklace: same as above! I wear it all the time! I need more colors!! Hat: American Eagle(old), but this one is cute!! Blouse: JCPenney, can’t find online, but this one is really cute!! Sweater: J.Crew Factory, like this one! Flats: Target(old), but these are fun and perfect for spring!! 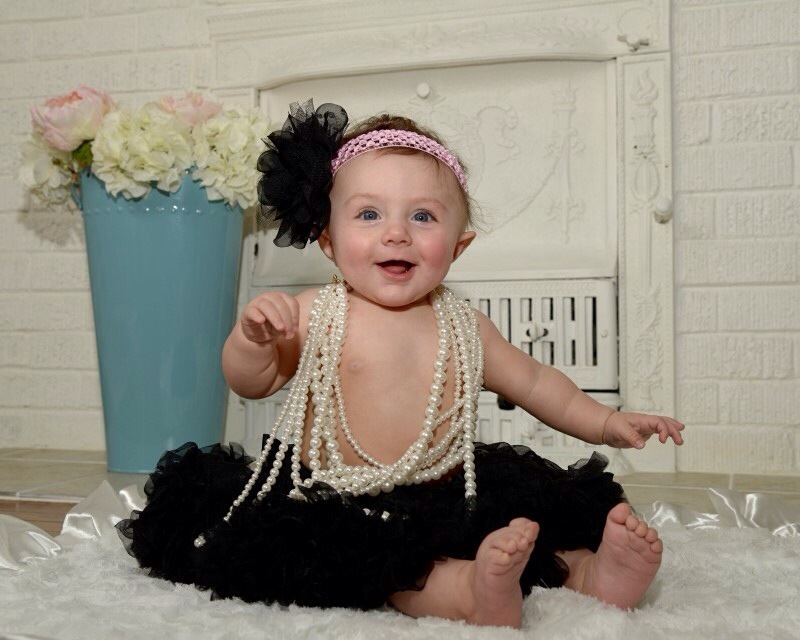 Miss Libbey will be 6 months old on Saturday! I can’t believe it! The last 6 months have flown by, but I have enjoyed every minute!!! We had pictures taken on Tuesday!